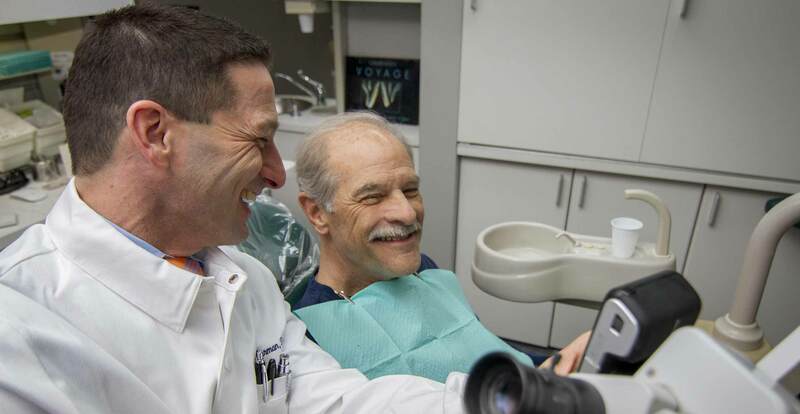 Dr. Berman is a General Dentist specializing in Cosmetic, Advanced Restorative and Family Dentistry, and this website is about results. This website is named Dental Art and Science because Dentistry is no longer just about filling teeth. New technology and materials have evolved dentistry as a science with functionally esthetic outcomes. All dentistry must function within the limits of the oral system or it will either cause harm, or fail prematurely. All materials used have good and bad properties and their selection and use must be carefully understood if a long lasting, functional and beautiful result is to be achieved. This website will give you a general understanding of the issues at hand and the techniques available in restorative dentistry today. When you are selecting a cosmetic/reconstructive dentist, by far the most important factor in your decision is the dentist's skill. But how do you determine a dentist's skill? By looking at the unretouched before and after pictures of his/her patients and by being educated about what to look for. On this site, you can browse through hundreds of before and after pictures of Dr. Berman's patients. Finding the right dentist is not like shopping for a commodity. You can buy the exact same new car at any number of dealerships, but different dentists will give you very different results. The dentist that you can be comfortable with is the doctor who has accomplished for someone else what you want for yourself.